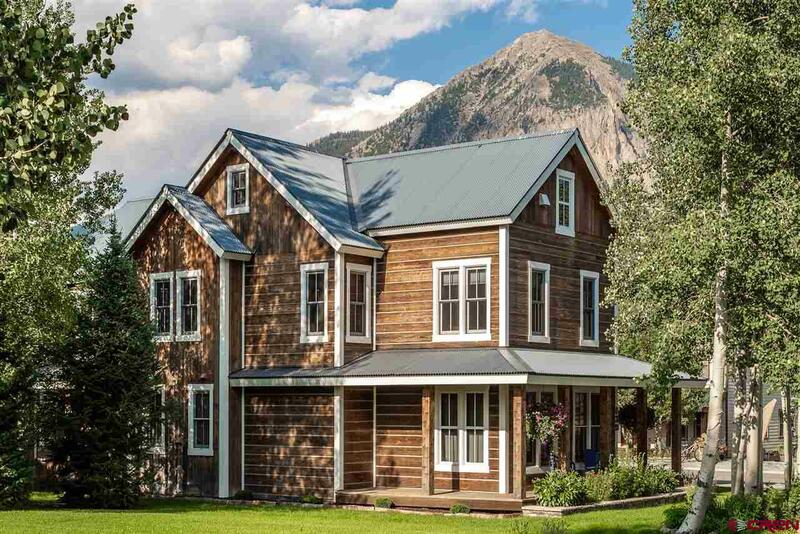 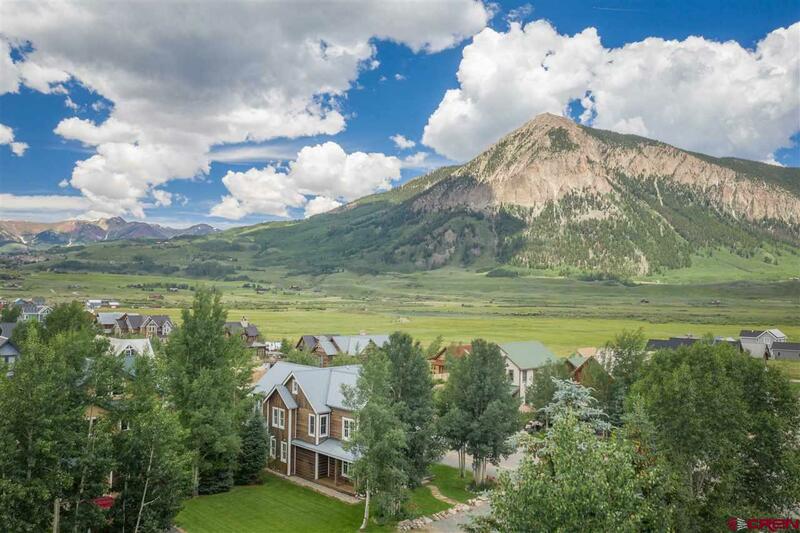 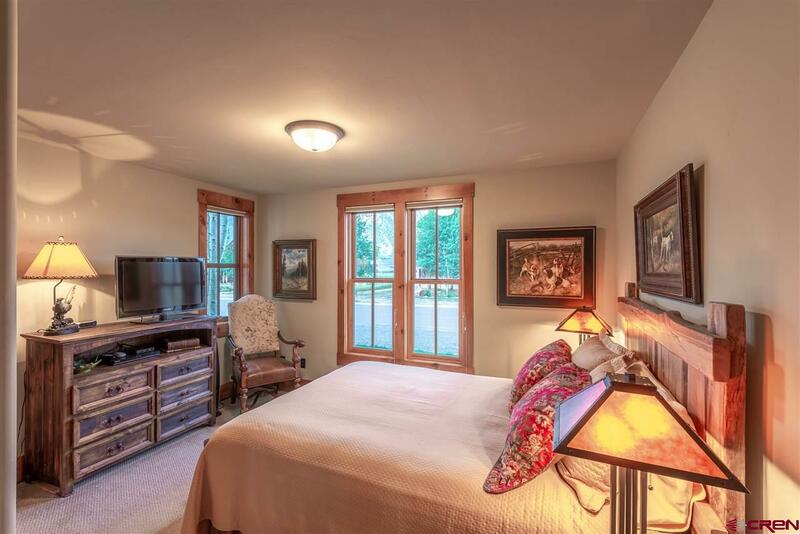 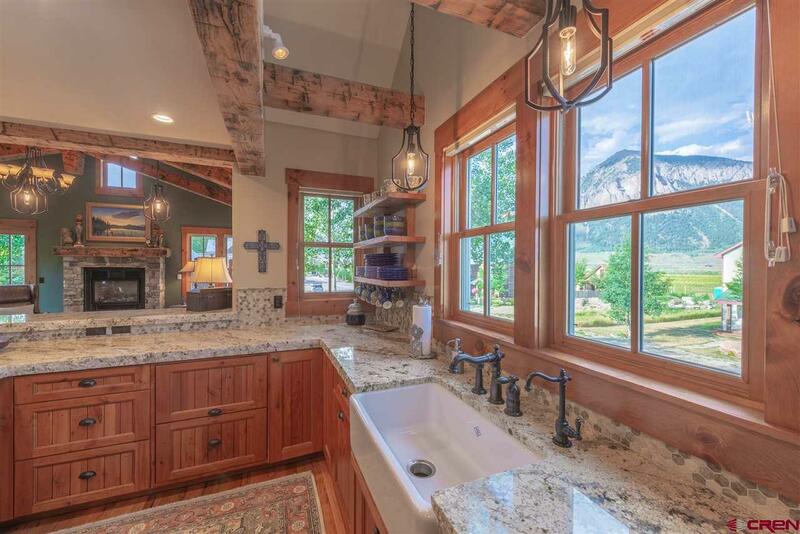 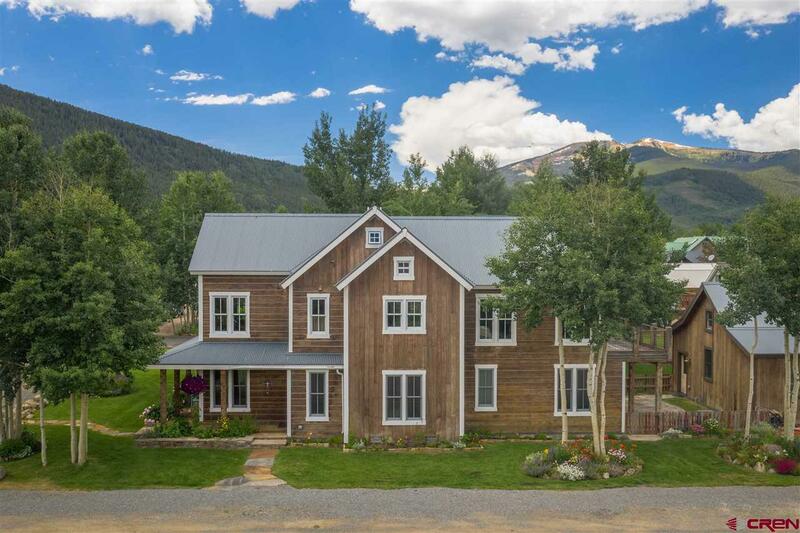 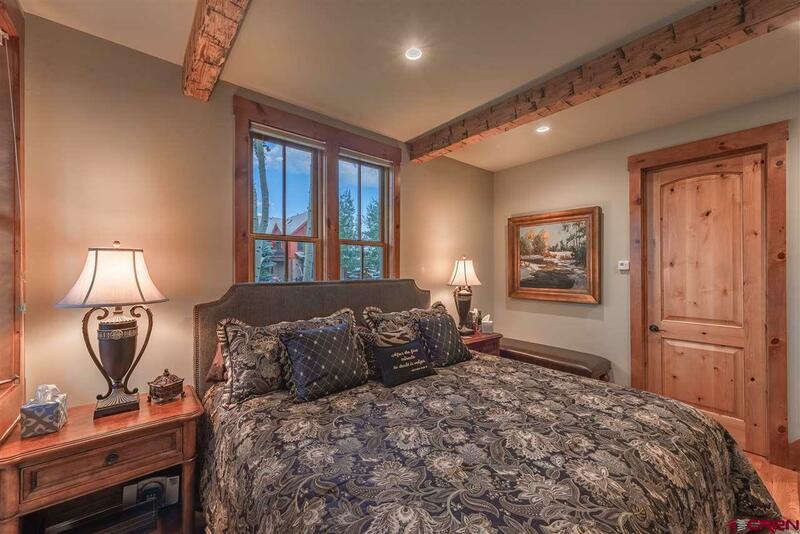 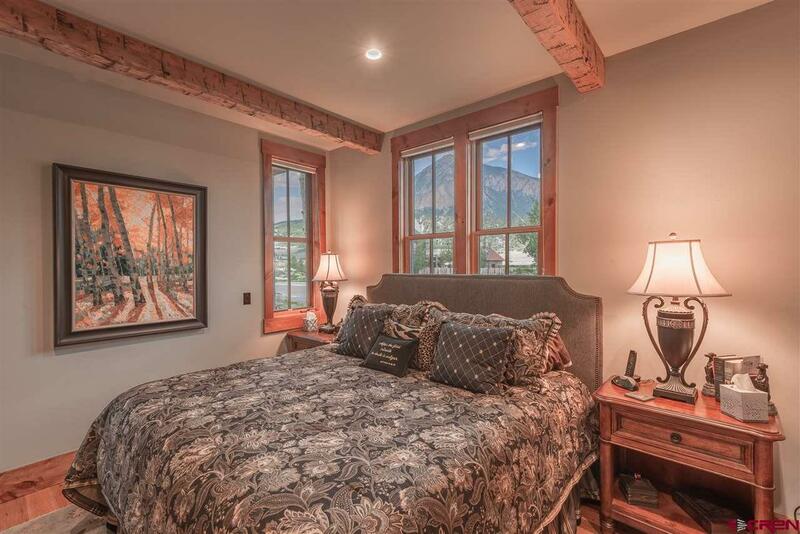 Gorgeous home Downtown Crested Butte with beautiful reclaimed wood and views that will always be unobstructed. 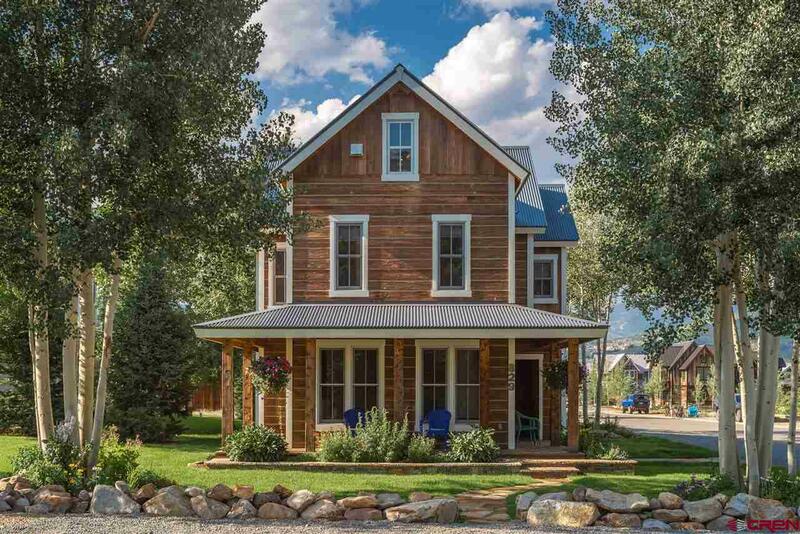 You can&apos;t miss the fully landscaped yard, a flower bed that surrounds most of the home, mature aspen trees, with flower beds that also surround the base of the trees. 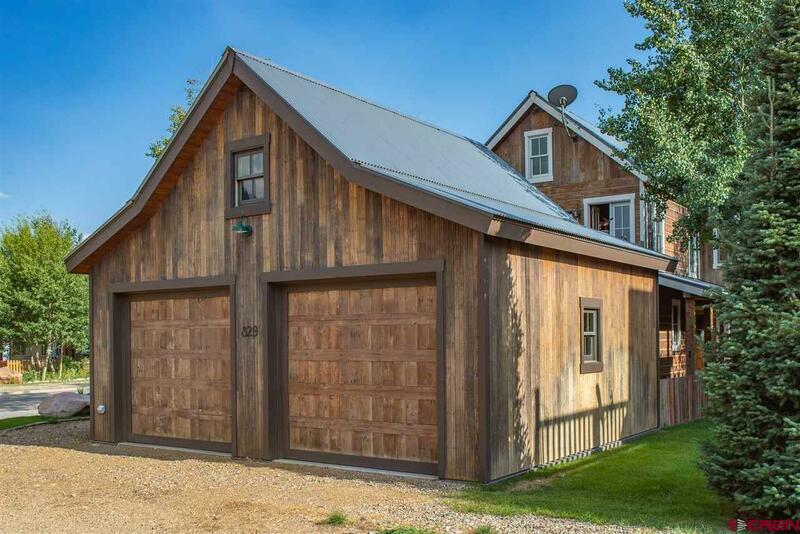 There is a 2 car garage with an added parking spot right next to the garage. 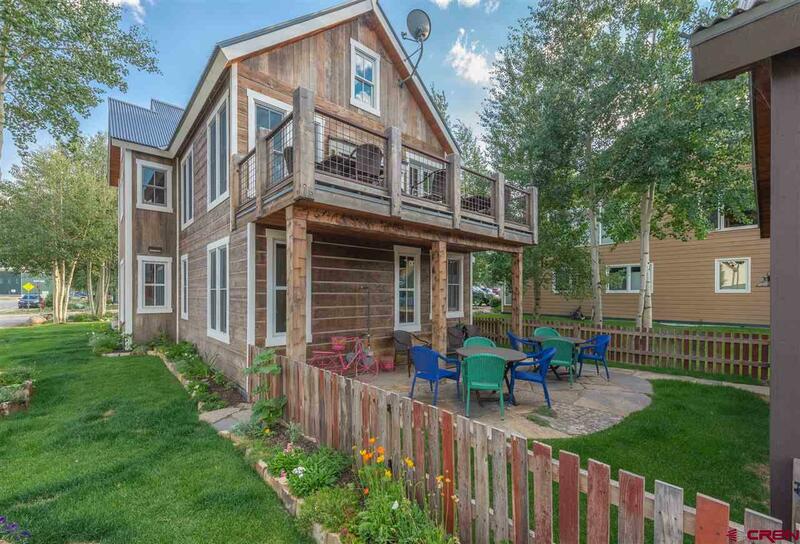 Having a corner lot allows for extra parking spaces. 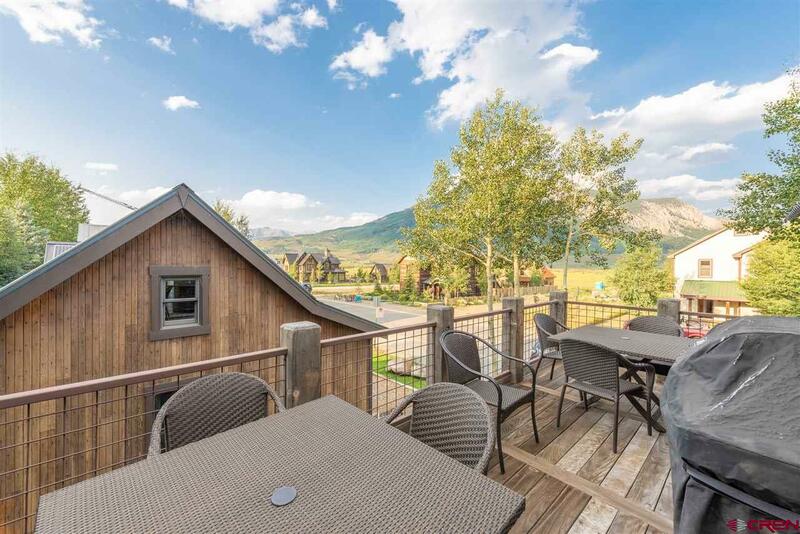 Between the garage and back of the home, they have fenced the area with reclaimed wood and added a flagstone patio to have a nice comfortable seating area, the deck off the living room is also great to sit, relax, grill and enjoy the views. 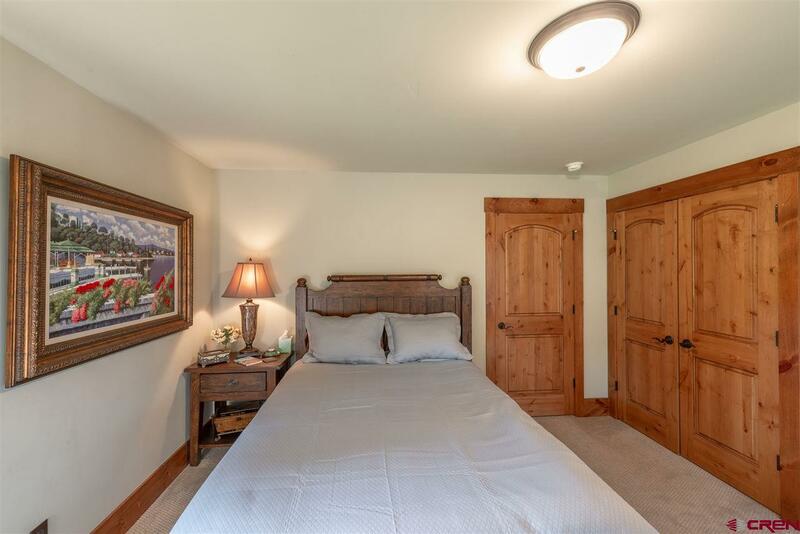 The house was built by Jimmy Faust, he took advantage of every square foot as usable space, 4 bedrooms, an office/tv room, 3 full baths and 1/2 bath. 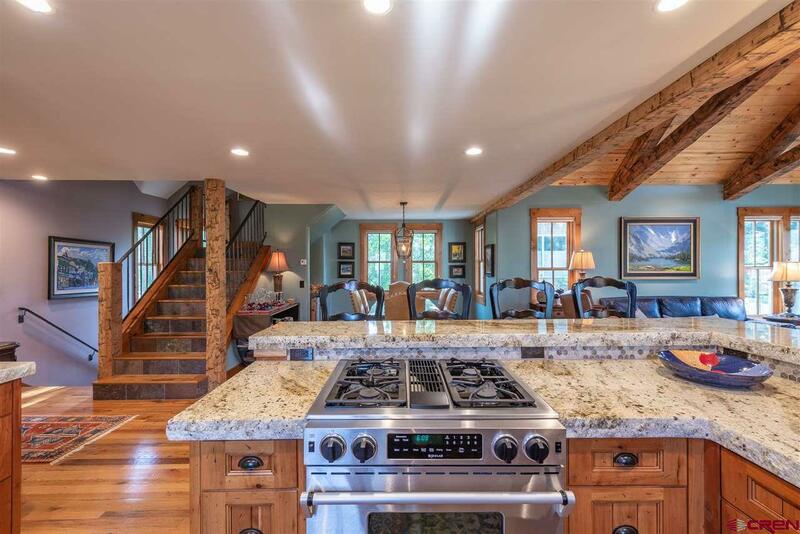 The main level is open to the family room, dining, kitchen and wet bar. 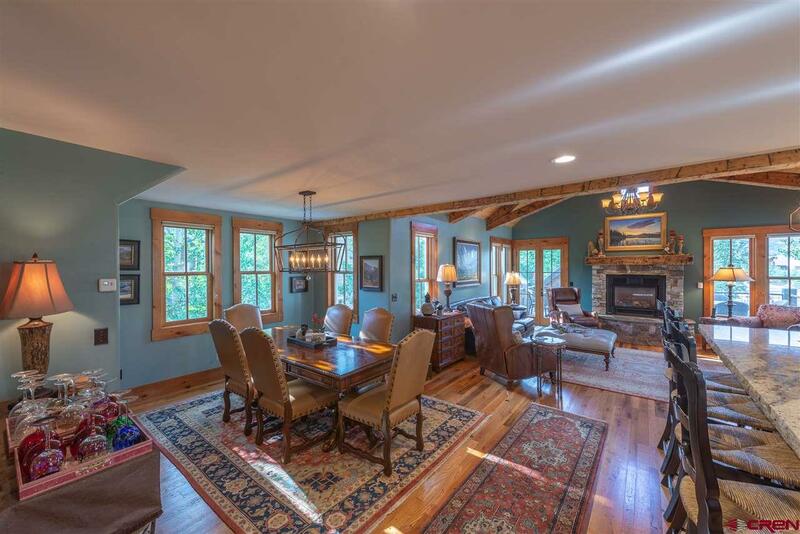 There are hardwood and slate floors throughout, wood beams and wood ceilings are a special touch. 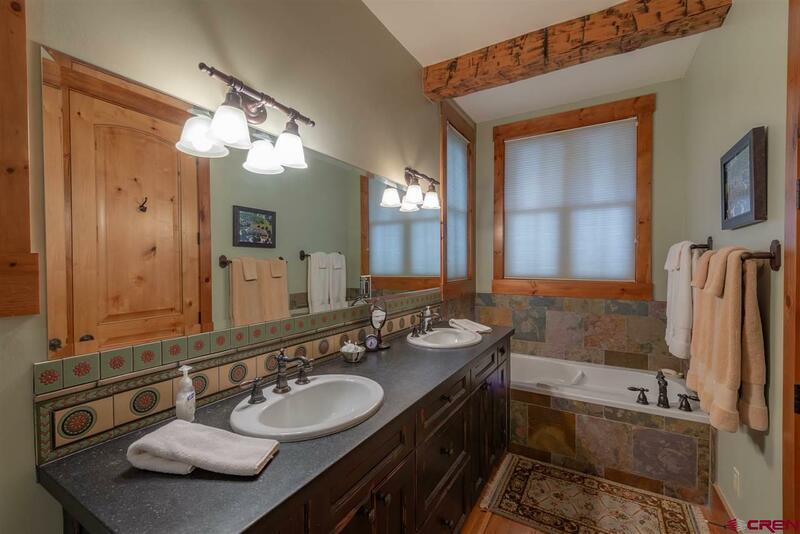 There is also a central vacuum system. 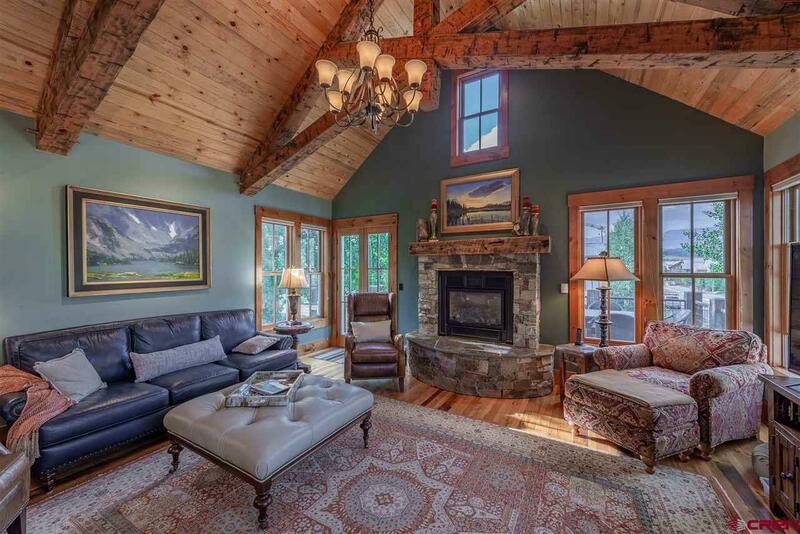 When you enter the home there is an area with ample seating and hanging winter jackets. 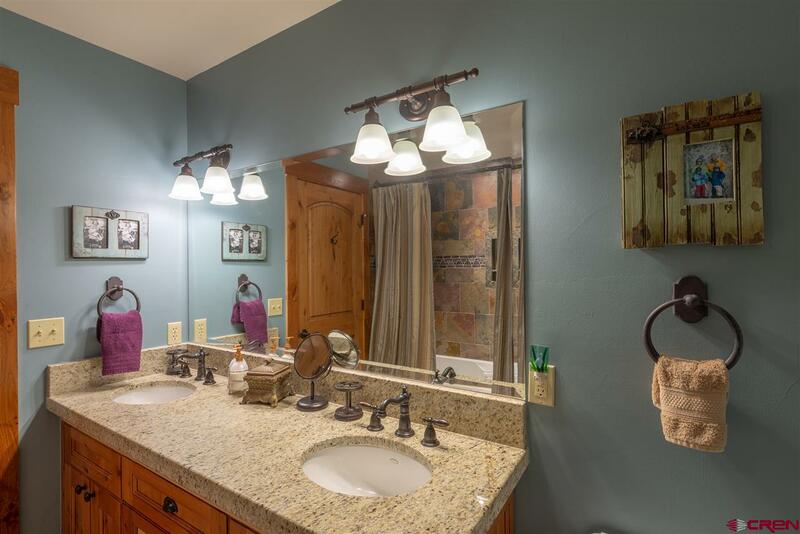 The back entry also has an additional mudroom. 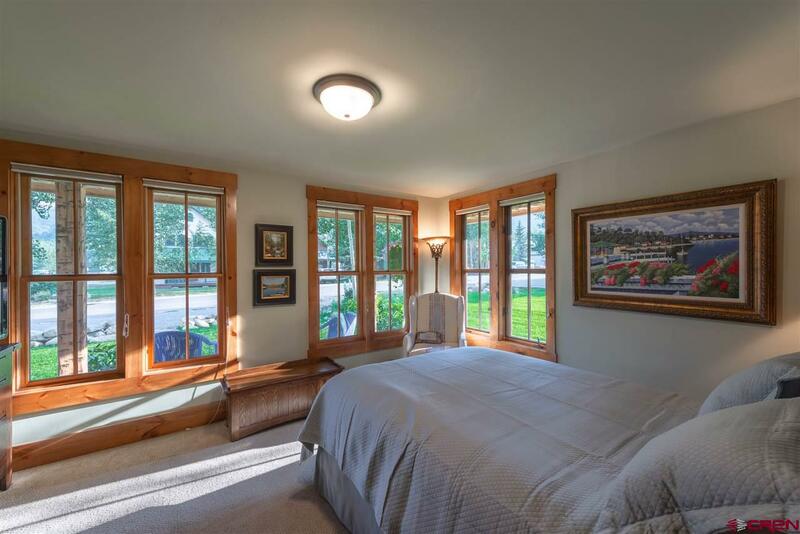 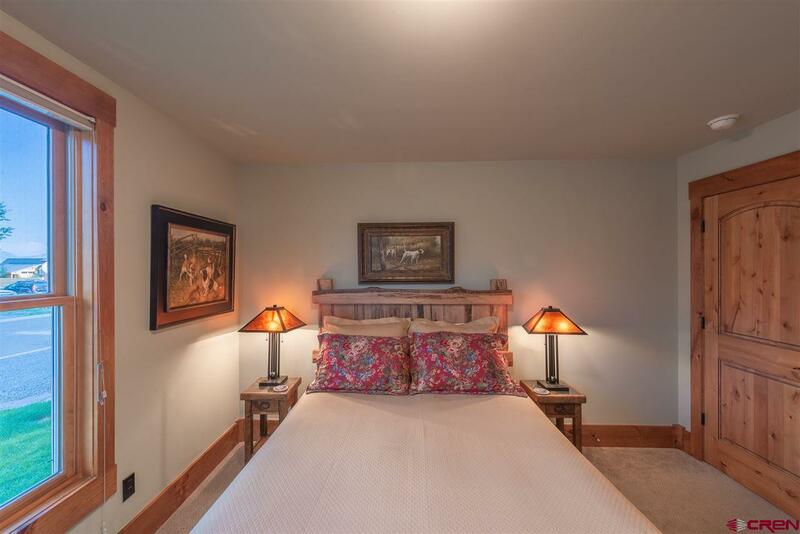 The master bedroom is conveniently located on the first floor, just step down into the private secluded area. 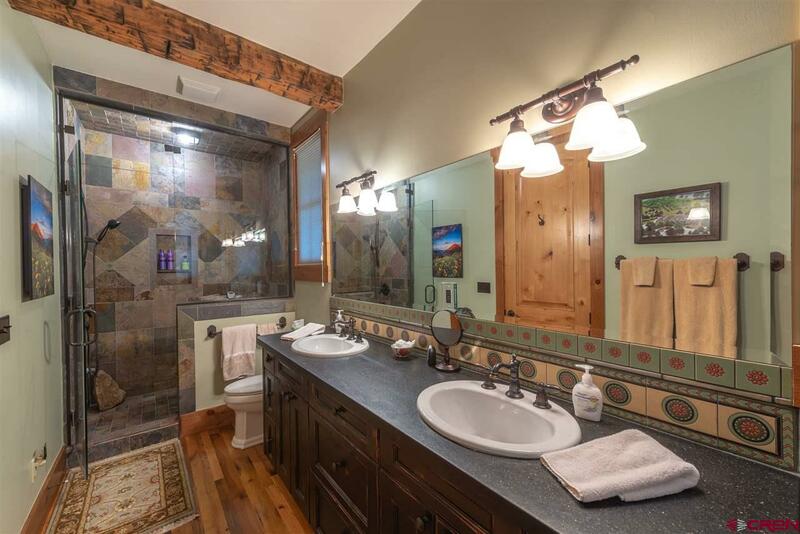 The master includes a walk in closet, full bath, with a jetted tub, steam shower and double vanity sink. 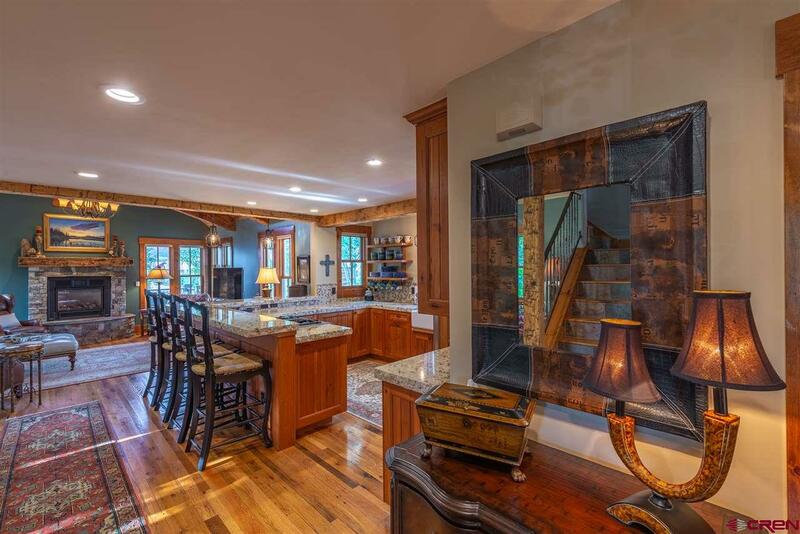 The main level is open to the family room, dining room, kitchen and wet bar. 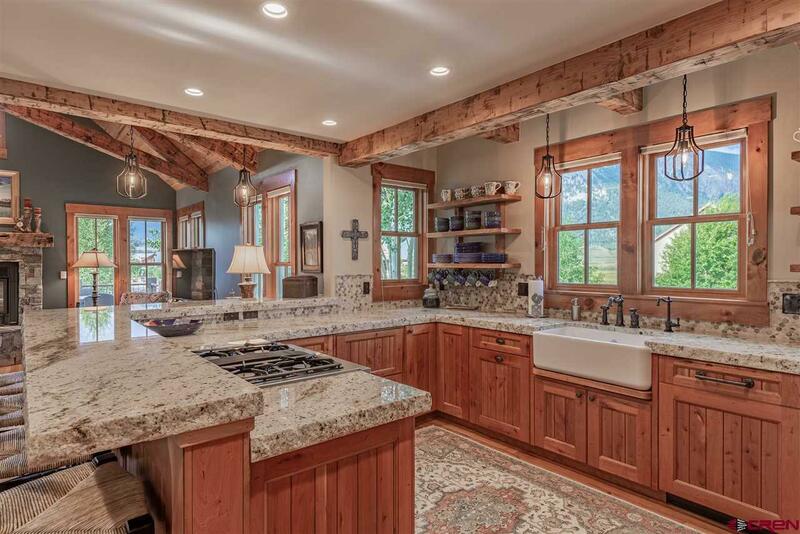 The kitchen has granite countertops with chiseled smooth edges. 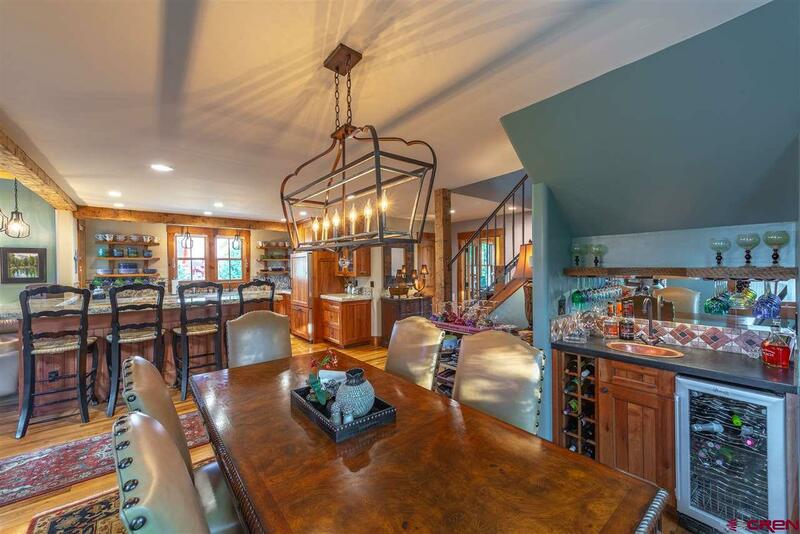 In addition to the dining room seating, there are 6 stools at the kitchen bar. 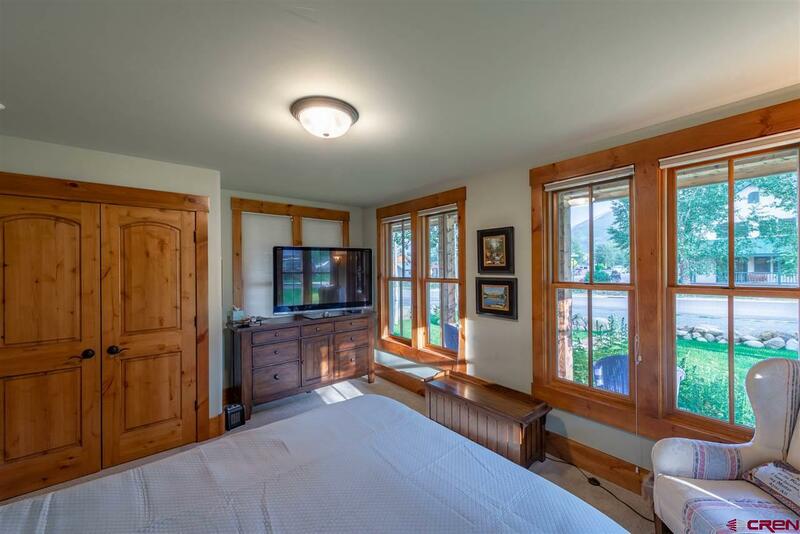 The third floor is perfect for all the kids, includes a full bath and closet. 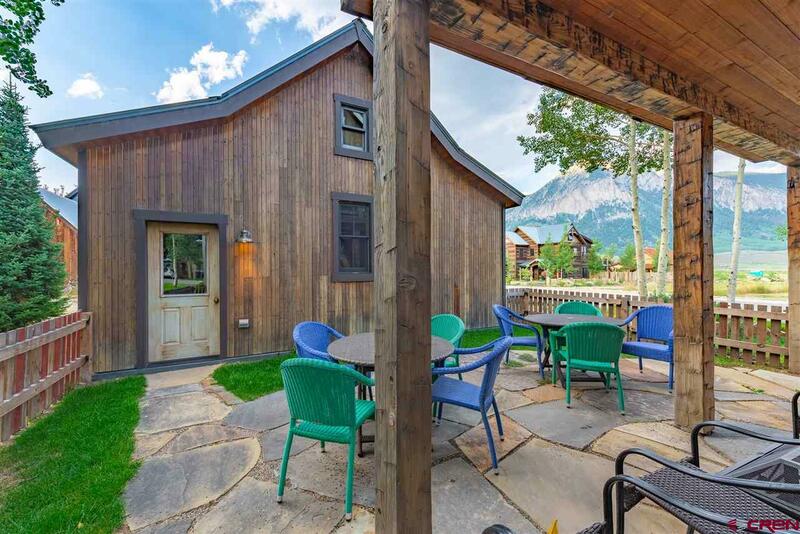 Location of the home is fantastic, just a block from the Crested Butte Community School, 2 blocks from the park where they play music every Monday night in the summer and all the amenities the town has to offer, restaurants, shopping, bus system to the mountain and recreational trails that surround.